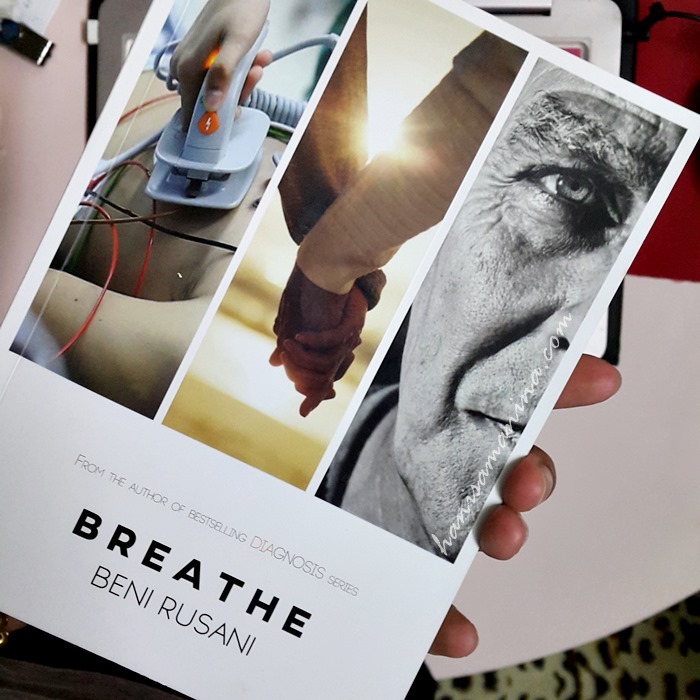 I just knew Popular (at least in AEON Klebang) does not sell Breathe by Beni Rusani. Don't really understand why this bookstore prefer this way, Doesn't the store know this is one of the best-selling books? I ended up buying it from MPH in AEON Kinta City. Funny isn't it, how Ipoh itself has three AEON malls! This book also covers his love life, friendships, colleagues and a bit on family. A simple (yet complicated) story but a very interesting one as it is medical-related and I managed to understand most of the terms, diseases, managements mentioned in this novel. 1. Life as a houseman. It will be my life very soon. Just around the corner. In this novel, I can imagine how blur it will be on the very first day of working. Unsure what to do, where to go etc. But, I can observe how Dr. Adam struggled to maintain to be there, in his shoes as a houseman. Be ready to admit that I lack clinical experiences. Be ready to accept the fact that I need to learn hard and smart with all procedures - not on mannequins but real patients. Improve and remember basic ideas on everything I do. Really. Easier said than done. Move on in this case does not only mean letting go of failed relationship. But, letting go all the failure, mistakes in life. Doctors witness death almost every single day. From medical staffs point of view, I can understand how many doctors I've met admit that they end up losing the normal reaction towards death - patients' death. I am a bit afraid to be like that as well. 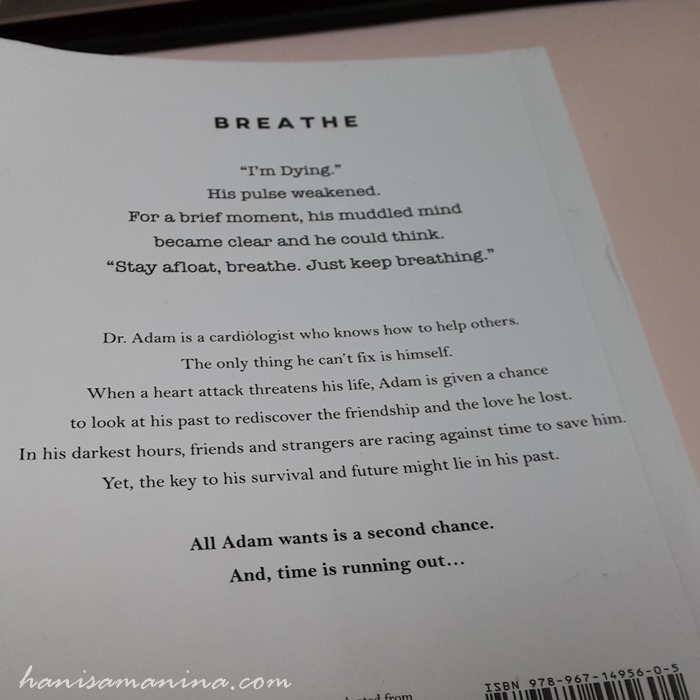 In this novel, we can appreciate how doctors actually cannot move on from their patients' deaths. Especially their very first one. T_T It basically give huge impact in their own life, even for the experienced doctors - losing patient after trying everything he can do - can be torturing. "To enter the light, you have to let go of your past." "Someone I look up to once told me, horrible things could happen in medicine. Patients can die on us. We must learn from it and move on. So we can help the next patients." "Forgiving others seemed easy while forgiving yourself was hard." Pray that I will be a competent doctor. 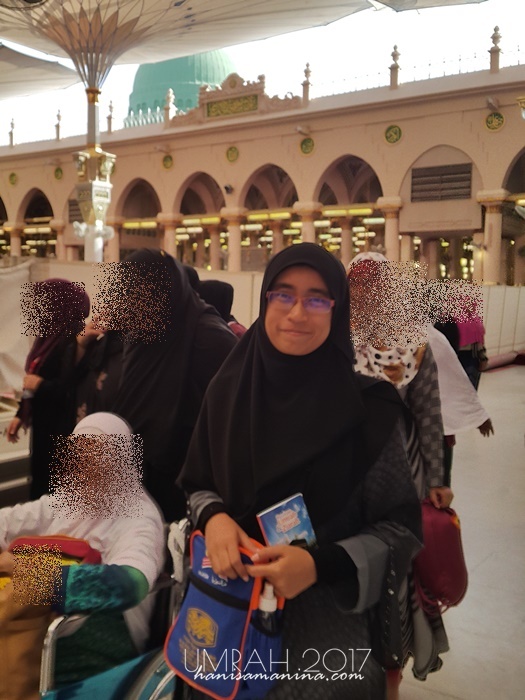 First of all, it is an area inside Masjid Nabawi that include tombs of Nabi Muhammad s.a.w., Saidina Abu Bakar As-Siddiq r.a. and Saidina Umar al-Khattab r.a.. There is another place that is said to be reserved for Nabi Isa a.s.
Let me share my experiences so that you can isolate the points by yourselves. As I mentioned earlier, women are allowed to enter Raudhah only after Fajr, Zuhur and Isya' prayers. 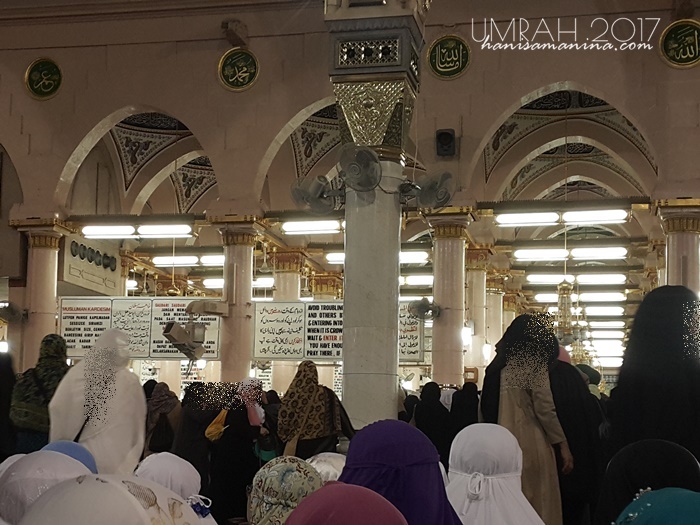 Always enter Masjid Nabawi via door 25 (for women) if you attempt to enter Raudhah. 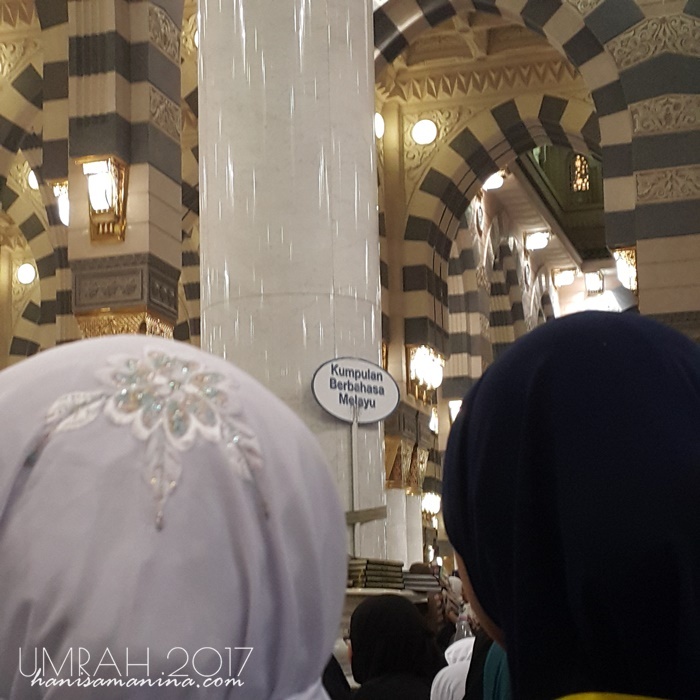 There are two main gates afterwards - 1) to enter the men's prayer areas from women's prayer areas, 2) to enter Raudhah itself. Can you see the signboard? This was when we were waiting to pass the first gate. After passing the first door, Mak and I ended up separated from that Malay group and suddenly we were surrounded by lots of Indians. I suspected we accidentally get ourselves into the Indian group. No way to leave the group anyway, as there were many other people behind our backs. So, we just try our best to adapt with that situation. To be honest, Indians are very aggressive. SubhanAllah. 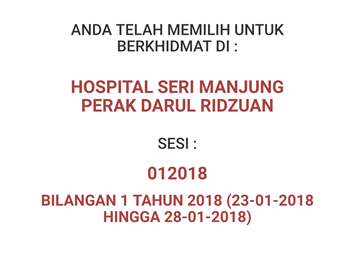 Memang rasa kena lenyek. It was very crowded that we couldn't even see our feet. 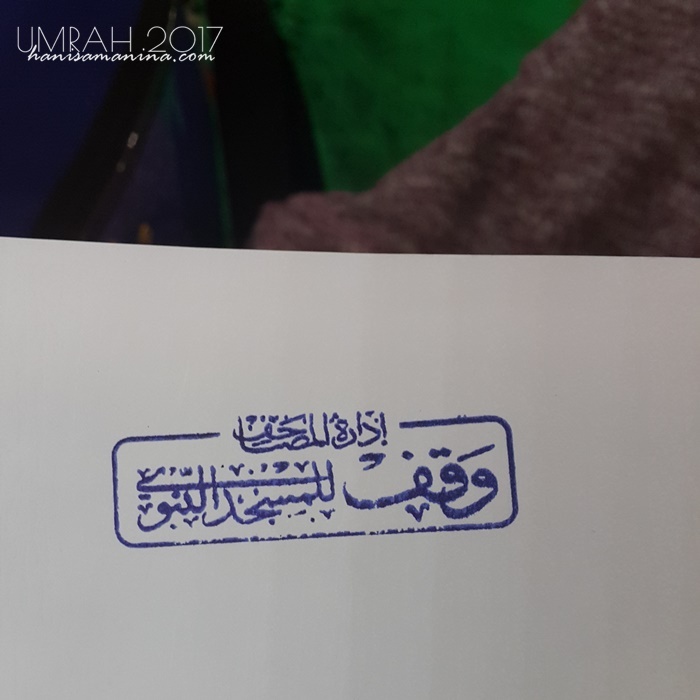 So, we couldn't decide if we already enter Raudhah's area or not. 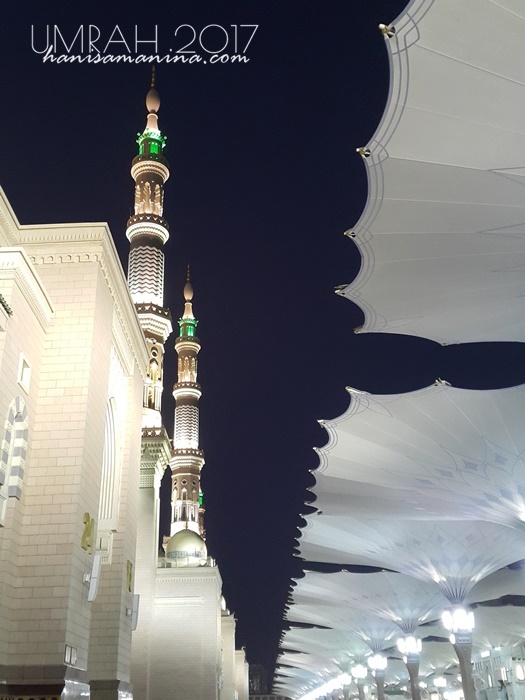 Raudhah's floors are covered with green carpets, instead of red carpets at other areas. Okay, this time, it was after Isya' and we decided to really stick to the Malay group. And guess what, it was the same situation. Even in the Malay group, there were so many other people like Africans and Indians in the group. Waiting to pass the second gate. Raudhah is beyond the instructions banners that you can see. The challenge for me at that time was, there was another makcik following me and Mak. I felt like another responsibility was given to me as I need to take care of her in Raudhah as well. She is 75 years old, guys. She looks tired of waiting and what else kena himpit etc. We first sit among the Malays before passing the first door, then we joined another group (it was with the Turks at that time). Alhamdulillah, it was the smoothest than previous two. Mak and I waited patiently (walaupun kena himpit jugak) until we reached the very front line of Raudhah. It was the best zone as less people pushing us. There are few tips I would love to share. Not just for you but for my own references in the future. Perform lots of solat hajat to pray that we will have easier entry into Raudhah. 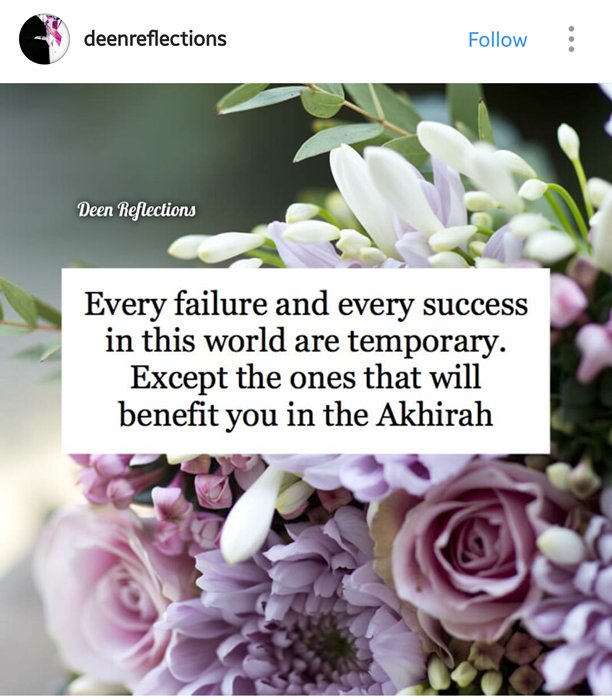 Be patient, sabar sabar and sabar. Exercise regularly before coming here so that we will be physically fit. Try to enter Raudhah with a partner. You can take turn to guard each other to pray. Why? When you sujud, other people would not see you down there. The potential to be stepped on will be much higher. The time allocated is 5 minutes - they said. But trust me, once you are inside, the tendency to be stuck and unable to exit is high. Use that time you are stuck there wisely - either to pray multiple times, make lots of du'as. If you want to give chance to other people, try to move out slowly while keep on making du'as although it will be challenging as well. Try to calm and don't shout as this is a mosque and if Rasulullah s.a.w. can see us, he must be very sad to see the situation T_T Avoid using harsh words and be patient when you are pushed from all directions. Send our salam for Rasulullah s.a.w. and his Companions. You can always read the prayers in your guidebook. Always say in our prayers that this will not be our last chance to visit Rasulullah s.a.w. and to hope that we will be here again very soon. Still perform our prayers towards qiblah, NOT TOWARDS THE TOMBS! Enter lightly. I mean, avoid taking with you lots of bags. Even, tawakal a lot to leave the shoes at the shoe racks. 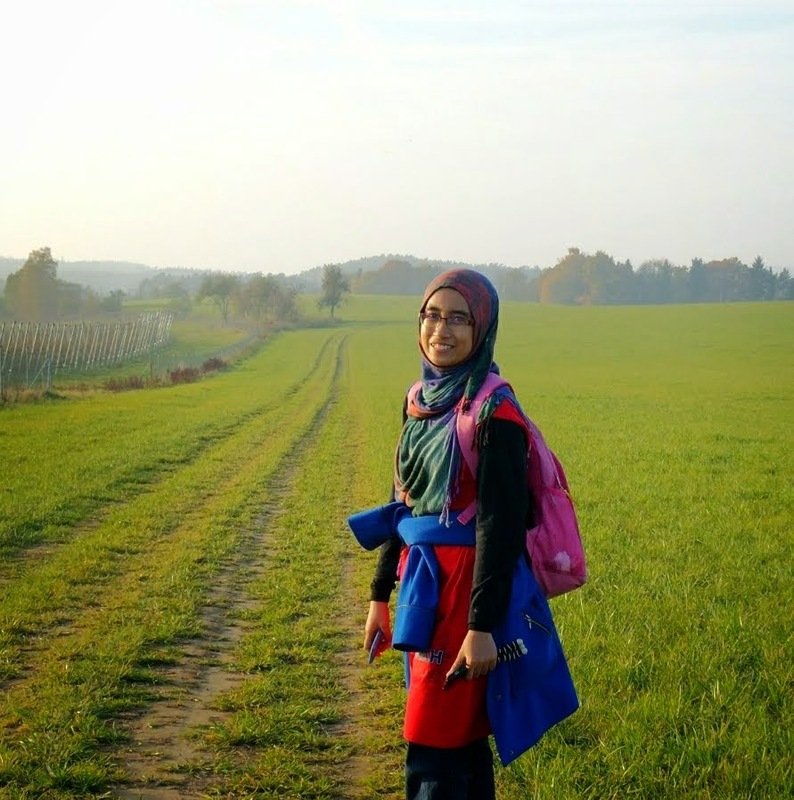 I have quite a number of posts in draft - on Umrah, Europe trips, Malaysia trips, things I did while unemployed yadayada. Wrote something in each of them, unfinished posts with unedited photos... but I can't put blog as my priority since that day :) Unemployment phase is going to be over very soon and a new life's adventure is approaching. Can't say I am ready but I pray hard that I have prepared good memories and knowledge to face the truthful lifestyle later. Huhu. Pray for me, yea guys! It was the first intake for 2018 and I was included in the list. The system opened that day at 12pm sharp. Even though I used to book my exam dates via the online University's system for the past good 6 years, but I couldn't help to still feel nervous this time. My future 2 years depend on this. Still, I told myself to think positive if I got any placement beyond my list. But alhamdulillah, it turned out I got my top four choice. All my Hradec Kralove's colleagues got the hospitals they aimed for as well. Alhamdulillah. May this is the best for us! It was an impromptu trip to Cameron Highlands that my parents and I have just returned home from. Alhamdulillah, it was a beautiful short trip that I will always remember and may all the good memories that I have created together with Ayah Mak be the strengthening core for me to start working very soon. I guess an unemployed daughter with her retired parents really make a good combination for trips. Hehe. And to see them smiling will be one of my life goals, forever. Redha with me, ya Ayah Mak? Other than my amazement towards the woman, this video actually reminds me of my very first time flying. It was out of my expectation to have the chance at that time. Planes and me, I honestly had not much idea how to relate us before, other than studying hard to make me eligible to further abroad. But, this era, chances to fly are almost everywhere. We can buy our own tickets (there are low cost airlines wohoo) and I have been reading that some people collect points from their credit cards! Wowww. There is actually one more alternative, I am telling you right now. I don't really join contests (like religiously) before as I feel like I have no luck with them. Just, I realized that there is no harm in trying and I don't even have to spend anything to join. Right? Honestly, I am having good experience with Traveloka. I have traveled the world for few years already and of course I have few other regular platforms to book flights and accommodations before I knew the existence of Traveloka. :) But guess what, to my surprise, Traveloka really offer cheaper prices especially for last minute plans like my family basically love to do. And the website is very user friendly! 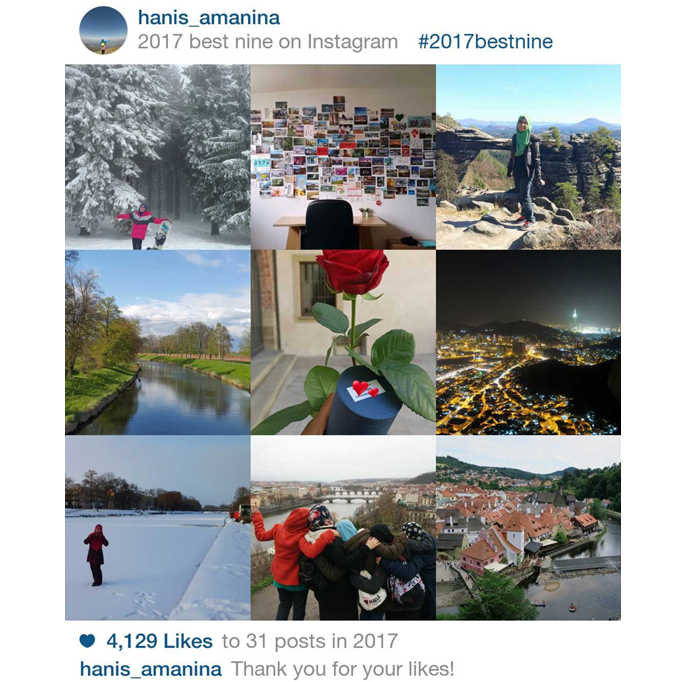 About the contest I mentioned earlier, it will run from 22nd January 2018 (12am) until 28th February 2018 (11.59pm). Such a long duration, we can brush up the skills needed to win more! First of all, let me share what are the amazing prizes that we may have the chances to win. I guess Seoul is the number one favourite destination for Malaysians! Even though South Korea was my second country abroad that I had been to, honestly I haven't traveled around Seoul yet. Haha. I had a conference in Busan and my time there belonged to the event. 1. 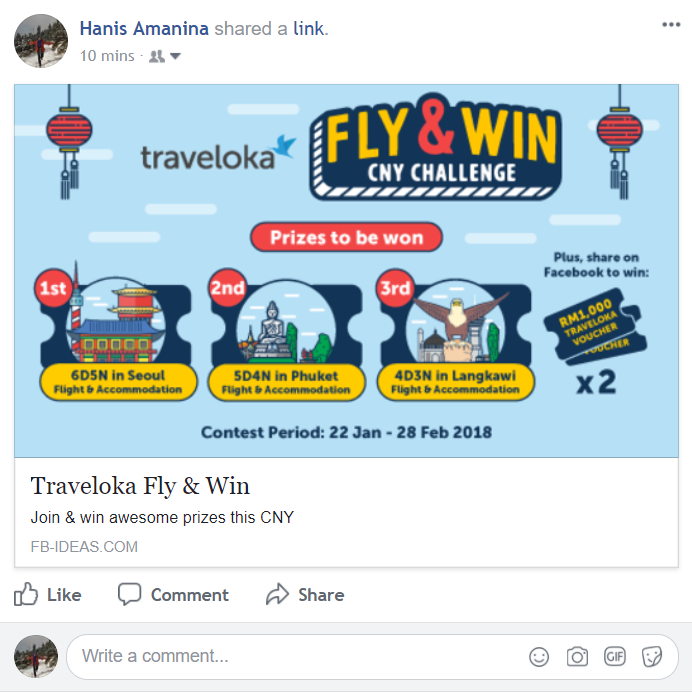 Go to Traveloka CNY 2018 Contest. 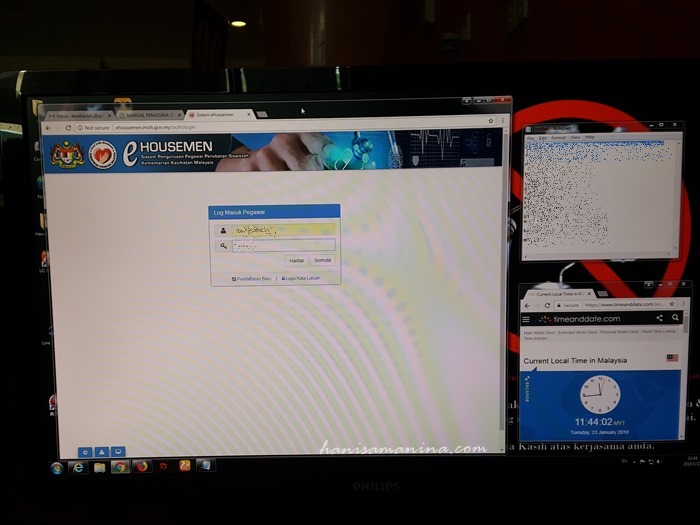 Click Login with Facebook. Then click START GAME. It is encouraged for us to read the terms and conditions for better understanding. 2. 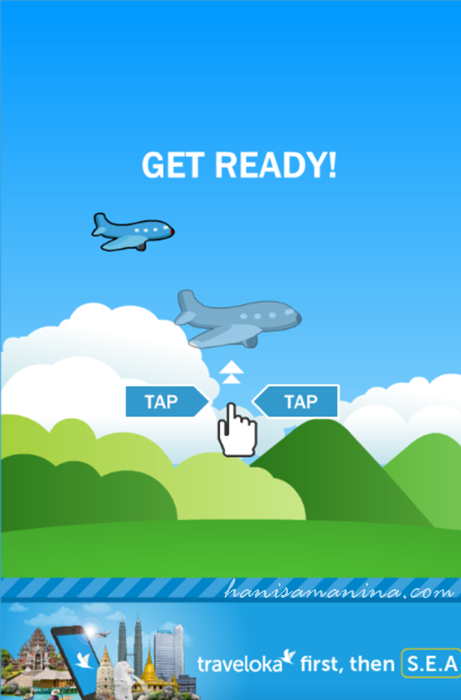 Tap on the screen to balance the plane passing through 'obstacles' like towers, pyramids, hot air balloons, clouds etc. We can obtain extra points by flying through angpaw (red envelopes). Be careful of flying too high or too low as well. 3. When we finish the game, we can see our score. We need to click share and only then, we can click submit score. To my understanding, to post / share about the challenge on Facebook is NOT compulsory. We can still submit our score to win the Grand Finale Prizes. But.... there is another thing to take note! 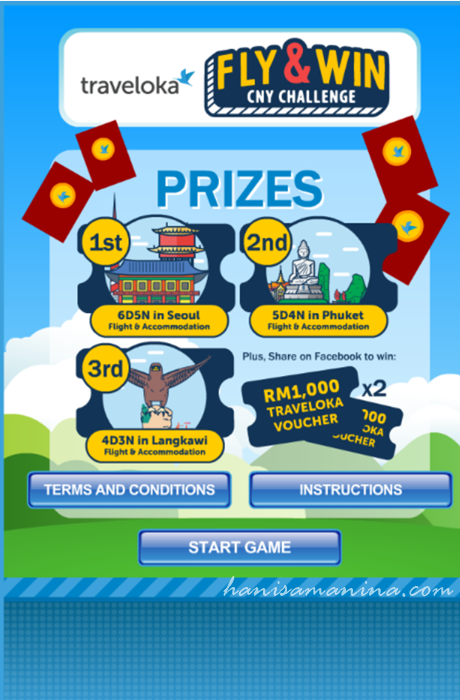 Traveloka also offers prizes for sharing the Traveloka Fly & Win CNY Challenge on Facebook! 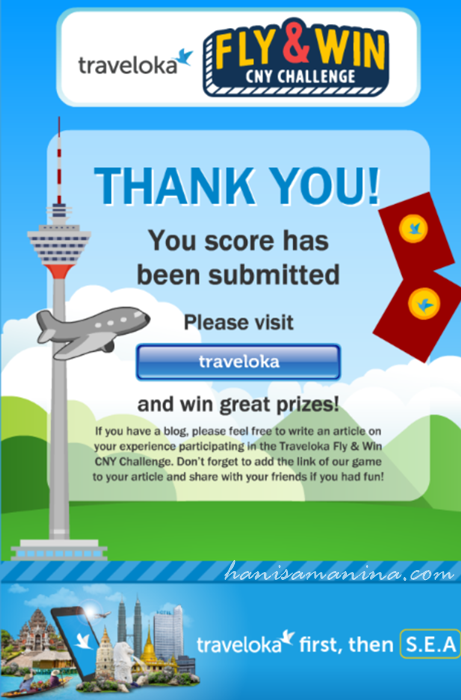 There will be 2 winners (randomly chosen) who can win RM1000 Traveloka Voucher each. So, I make an attempt, like this. Hehe. RM1000 is a lot okay! 4. 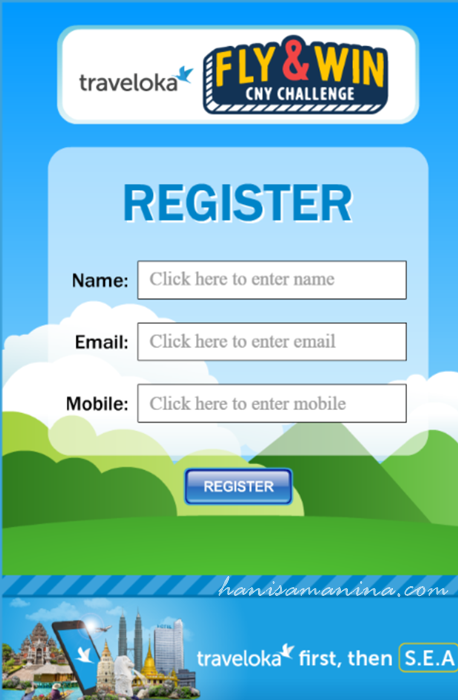 Fill in our details and click REGISTER. 5. Then, we can see this page informing us that our score has been submitted. The game is simple enough to play. At first, I thought playing with phone will be easier. 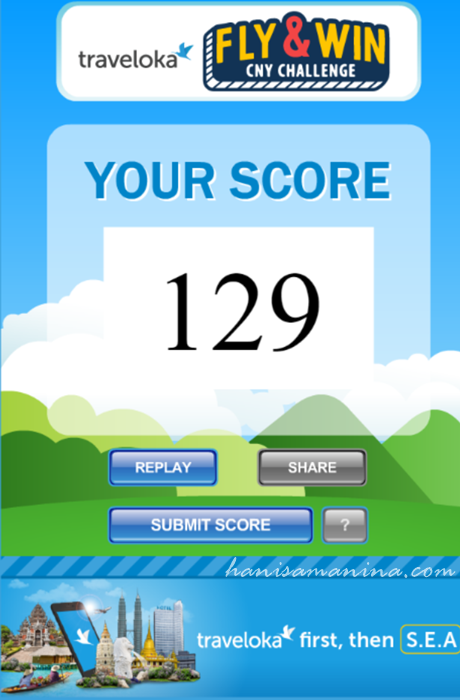 However, I realized that I scored more using mouse on my laptop. :D So, it depends on us which one suits us best. Why not grab our chances to secure these free stuffs for us? Hehe. 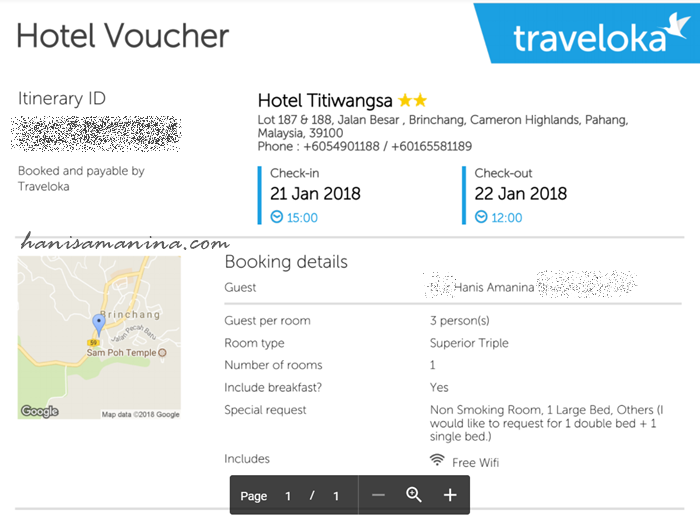 For other details about Traveloka, you can always refer its website to book any flights or accommodations or simply to check any promotions going on - like this Chinese New Year Fly and Win Contest :D It is encouraged to download Traveloka apps as well, to make your process even smoother. Woohoo. Beautiful masjid, beautiful every whereeeee! 1. Embracing people from ALL OVER THE WORLD. People. They are not just Arabians or Asians like us - Malaysians, Indonesians, Singaporeans or Bruneians. But expect people from other continents as well - Africans, Indians, Turks, Pakistanis even Europeans and Americans! Berlapang dada, I must say with different mazhabs, another point to jot here. Challenges but the view is always magnificent! 2. 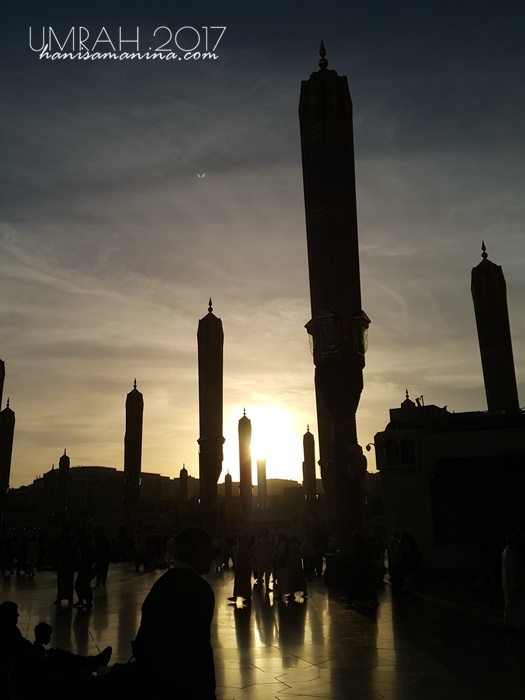 To pray inside Masjid Nabawi or the open spaces outside? Again, another point open for discussion. As I met different answers every time I asked different people. Some people prefer to pray inside Masjid Nabawi instead of open spaces outside as they consider the ganjaran to be inside not outside. If you prefer to pray inside, do come earlier before the azan (about 10 minutes) as it will be a bit hard to get a proper space or empty saf if you are late. Sunset - I have no experience watching the process of opening and closing these roofs. After Fajr, when I exit the mosque, it is already open. And after Maghrib, it is already close. Prepare a small prayer mat so that if you don't have the chance to pray on the carpets, you can still pray on the tiles comfortably. The tiles are cold, I am telling you. Open roof inside the mosque - at night. 3. Orang suka makan saf. Haha I don't have proper words for this. MashaAllah. For example, you come early and you manage to get yourselves a good place on the carpet to pray. Like myself, I love to pray beside a pillar so that I have extra spaces to put the sling bags. 4. Put the shoes in the spaces provided. I understand some people prefer to carry their shoes with them. Huhu I am not sure if they lack common sense or their common sense is not similar as mine. At least, if you want your shoes to be with you , put it nicely in a plastic bag. Can you imagine suddenly you sit on random people's bare shoes (without any knowledge that the shoes are clean or not)? There was one time, a group of 3 ladies came to pray behind me and suddenly they put their bare shoes in front of me. Honestly guards in Makkah are scarier than in Madinah. Hehe. 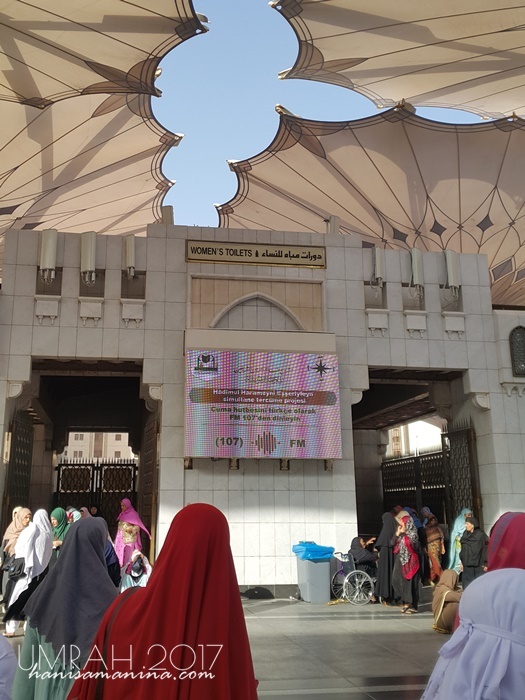 But, in Masjid Nabawi, we will encounter more guards especially for women. To enter the mosque, there will be guards who will check our bags. Not sure what items are they searching for but camera is one of them. It was a bit tricky for me as I usually put the camera inside my bag (even though I don't have much intention to snap). But, phones are allowed so just take pictures with the phone okay? Even though sometimes the guards won't allow you to do so. Just, be careful of other people's aurat. 6. The challenges to enter Raudhah. 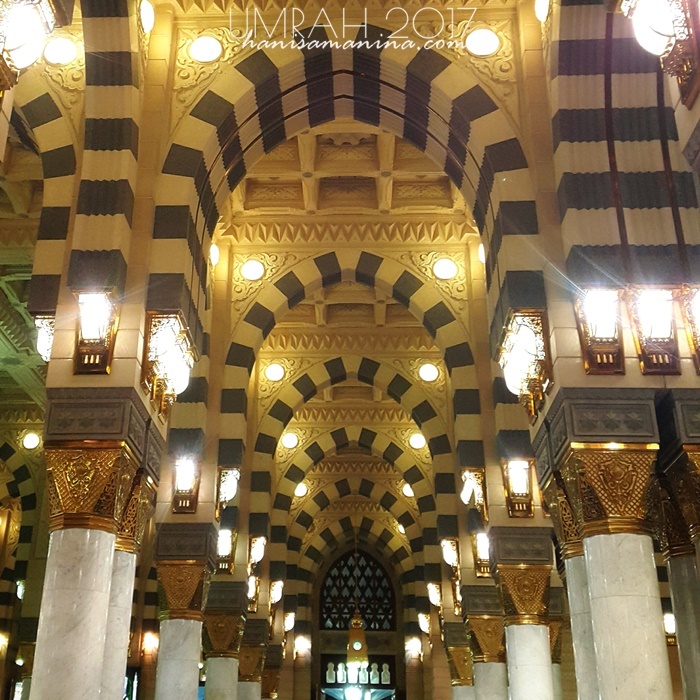 This is one of the ultimate goals in Masjid Nabawi. Since Raudhah is located closer to men's prayer areas, the duration of time to be there for women is a bit limited. If men can enter Raudhah 24/7, compared to women who can only attempt to enter after Fajr, Zuhur and Isya' prayers. Related to other points, there will be A LOT OF PEOPLE. 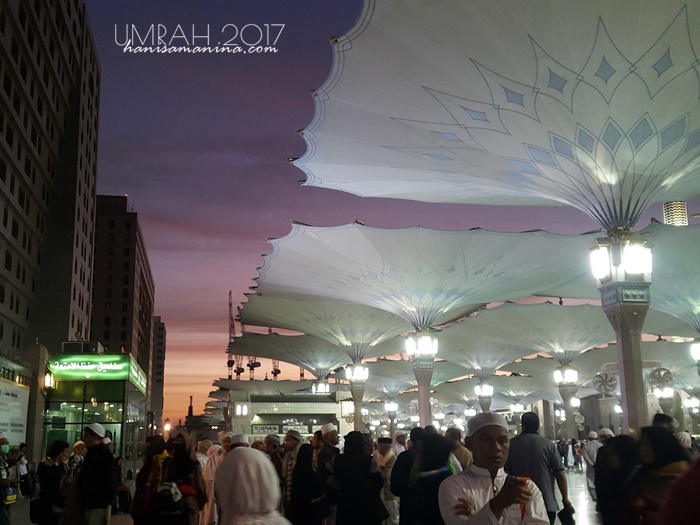 Sometimes, even for me I need to calm down, be open, try to be ikhlas to go to Masjid Nabawi. I need to keep telling myself that Masjid Nabawi is a very special place, Rasulullah's tomb is even there! Other than people crossing above you, slapping your head with their bags... please expect they even cross your bags even though there are Qurans on top of the bags! 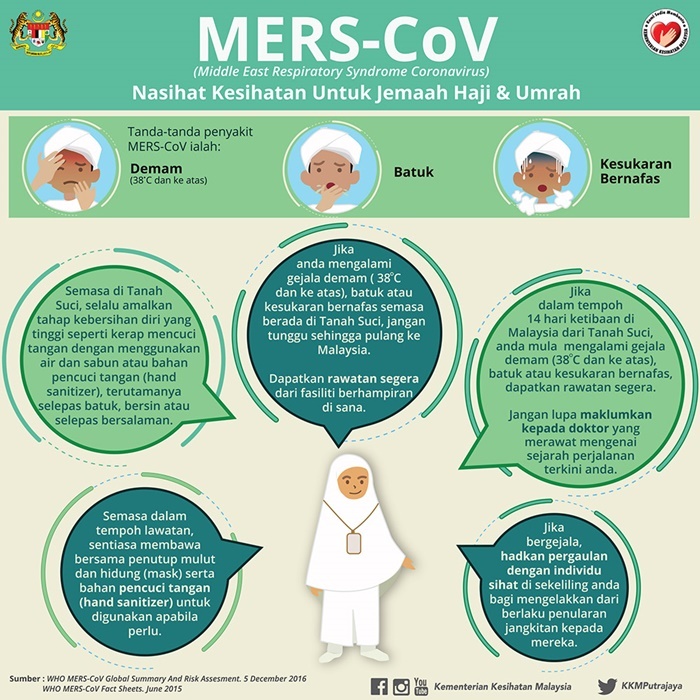 Same as in Masjidil Haram, this item is crucial. Toilets for women are not that far and usually they will be in front of the doors to enter the mosque. But for women who already be in the mosque and suddenly batal wudu', it will be a bit challenging to go outside and to take wudu'. T_T Another challenge is to return to your saf when the people are increasing in numbers after you have taken your wudu' outside. The toilets - it is not encouraged to go alone to the basement where the parking level is located. Dangerous especially for women. Stay in groups, yea? Avoid drinking too much water before prayers and do it after prayers instead. Water is important to prevent dehydration which is common for us there. Oh yea, to use the spray, prepare yourselves with small towel to prevent the water from dropping onto the carpets. All efforts must come with this. Tawakal. Tawakal that there will be spaces for us to pray. Tawakal that there will be chances for us to visit Rasulullah s.a.w. and his Companions in Raudhah. Tawakal that our shoes will still be on the shoe racks when we return to pick them up. I am so glad and it becomes one of my best moments in Makkah. Something I have never imagine in my entire life - to visit the hill where the first revelation was delivered to Rasulullah s.a.w. That event was significant enough and the reason why the hill is named as Jabal Nur - nur means light / cahaya. We left the hotel after Asar around 5 pm with a small van to accommodate 13 of us who would love to join the hiking trip. It was really pack in the van, but I still remember that was the moment I had the sweet chance to introduce myself to other group mates and got to know other people. What is needed for you to climb? Money - I recommend lots of 1 to 5 riyal notes. Arrived quite close to Maghrib, we prepared ourselves for prayer there - neither at the mosque nor musolla but simply at the shops, beside the road :) Then, we started climbing. The hill was not that high, just 640 meters plus but maybe because we hiked in the dark, it felt different. I was amazed with the driver's skills to park their cars at the hilly road like this. We had been taught that how special Nabi Muhammad s.a.w. is. Even though he was born in a place surrounded with Jahiliyah, he was well taken care and protected from those activities - like syirik etc. But, Rasulullah didn't like all Jahiliyah the people had been doing. 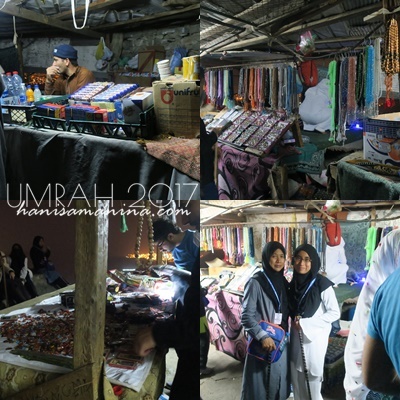 He went to isolate himself and to find calmness in Gua Hira' by climbing Jabal Nur. The hills are full with rocks like this. Through out the pathway up the hill, we can meet a lot of people asking for sadaqah. Especially, there will be quite a number of guys who ask sadaqah to make stairs on the hill. Stairs are very helpful for people to climb and sometime the original rocks are too steep to step. It is up to you to help and I would recommend you to prepare small notes before hiking - so that you can help different people. Walking at the peak, we could see the best view of Makkah from Jabal Nur. Of course Kaabah was out of view but it was easy to locate the qiblah based on the tall clock tower. In fact, on top of the hill, there was an area complete with carpets to pray. Just ask around about the cave and we managed to arrive at Gua Hira'. The entrance to the cave was not that big, not easy either because the cave was behind rocks. Surah Al-'Alaq - the very first Quran verse revealed to Rasulullah s.a.w. There are many life lessons we learned through out the hiking trip. It is an amazing spiritual experience, reminiscing the memories when Rasulullah s.a.w. went to find peace in mind plus all strength and sacrifices Rasulullah s.a.w. and his Companions had made to make sure Islam spread to the whole world till now. And it was really fascinating to think and imagine how Saidatina Khadijah risked herself to deliver meals to Rasulullah s.a.w. Climbing the hills twice daily... I don't think that was easy! There were no stairs back then. Another miqat that we went to set our niat was Masjid Hudaibiyah. It is a small mosque with limited spaces to pray. It is said that the water there is a bit salty as its location is close to the sea. I don't taste the water there, not sure though. Hudaibiyah is another beautiful place in Islam. Masjid Hudaibiyah is just behind the tree. Before Hijrah to Madinah, Nabi Muhammad s.a.w. lived in Makkah for 53 years. At the age of 40, he received the first revelation and Rasulullah s.a.w. spread Islam in Makkah for 13 years. Then, Muslims migrates to Madinah and Rasulullah continue spreading Islam there for another 10 years before he passed away. About 6H (6 years after hijrah), Rasulullah have missed to perform tawaf so much. Makkah was his home. T_T After he told his companions, turned out most of them also missed their hometown too. After Rasulullah s.a.w. dreamed about performing tawaf, they finally decided to go back to Makkah for hajj. They prepared food, animals and covered swords. If the sword is left open (without any cover) - it means war at that time. Khalid al-Walid and other people blocked them at Tana'iem. So the group made a detour to Hudaibiyah. And they were denied entry here as well. They decided to send an messenger (utusan) to negotiate and Uthman bin Affan r.a. was chosen due to his soft heart and he was loved by Quraisy before. And another rumors spread that Uthman r.a. was killed! The Companions became angry and they came with a pledge (baiah) to avenge the rumored death of Uthman r.a.. Still remember the contents of Treaty of Hudaibiyah? No wars between Muslims and Quraisy for 10 years (no injuring / damaging as well) = gencatan senjata. Whoever in Makkah and Madinah can choose between Islam and Quraisy. Quraisy who come to Madinah, they need to be returned to Makkah. Muslims who come to Makkah, no need to be returned to Madinah. Muslims can enter Makkah the next year but only for 3 days. Well, I personally have never see camels in real life and I have no memories of meeting them in the zoos as well. 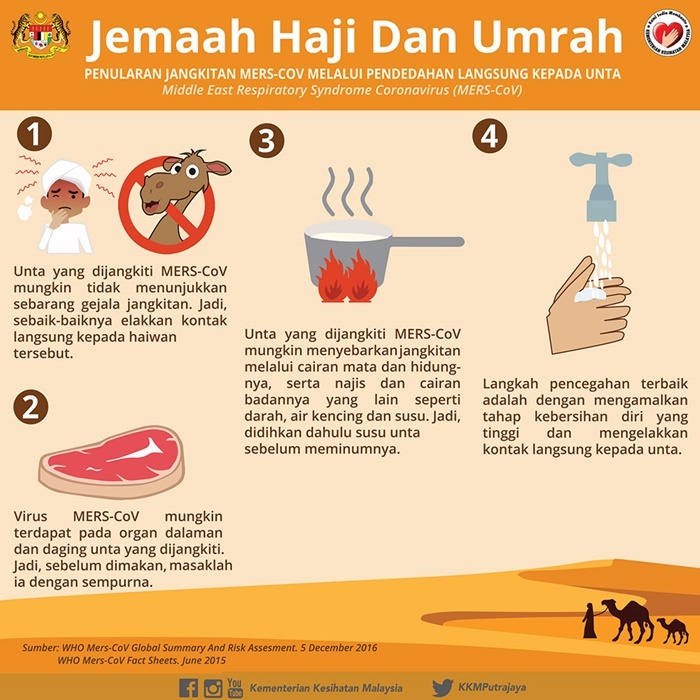 Are there camels in zoos in Malaysia? 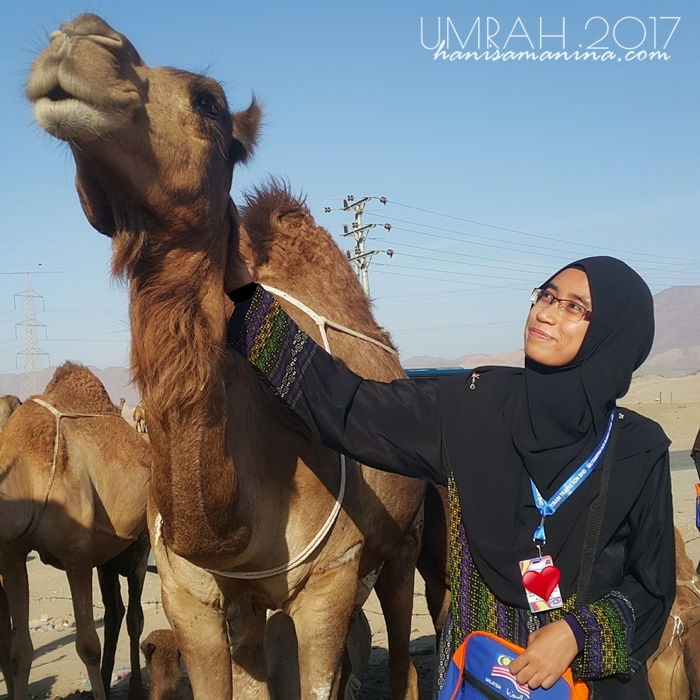 With the friendliest camel there. Camels are such interesting animals! Camels can survive in the middle of deserts without meals up to three weeks. The hump does NOT contain water as most of us believed - instead it stores fatty tissues that can be metabolized into water when needed. Another point is that it concentrates the fat at the hump so that camels can survive in hot weather. I mean, if the fats are distributed through out the body, they are easier to be metabolized. Like abdominal fat. Haha. This is the most stubborn fat to lose! If you have seen camels by yourselves, have you realized camels have different bending of legs than other animals? I am trying my best to explain this T_T. If you observe the picture above, can you see the camels bend the front legs at two sites? Most people including me would think that the joint that I make an orange circle to be the knee joint. In fact, it is actually carpal joint (equivalent to our wrists). Meanwhile in the blue circle represent the knee joint. So, knee joints of camels bend backwards instead of forward like humans do. All these special anatomical bones of camels help them to carry heavy stuffs on top of them.